Jackpot Paradise UK represents the perfect place to gamble in a safe, fun, fair, regulated and secure environment. Not only that, but it also has amazing promotions to play with. 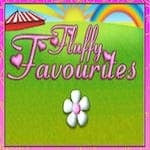 Come and enjoy deals like this fantastic first deposit bonus of 100% up to £200 + 15 Spins on Fluffy Favourites. All you have to do in order to claim it is to click the blue button, enrol on the website and make a deposit greater than £10 using the code FF15. Once the bonus has been credited, wager its entire amount 50 times along with the winnings from spins in order to unlock the withdrawal option. Please bear in mind the maximum amount you can cash out is set at 5x the amount credited and £20 for the spins. Have more fun than ever at this incredible online casino!